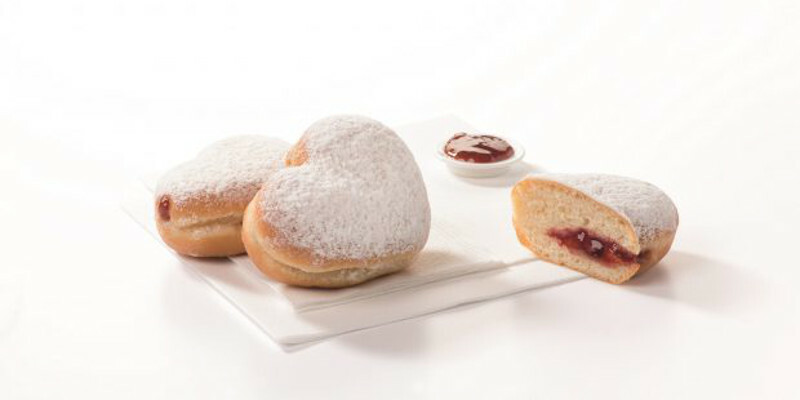 Aryzta Food Solutions is launching a limited edition heart shaped doughnut for Valentine’s Day 2019, in the UK. The “I Heart U” doughnut is filled with mixed fruit jam and dusted with icing sugar. The doughnuts are supplied frozen in cases of 60 and can be thawed and displayed in 90 minutes, with POS and display tools available, talkingretail.com writes. Aryzta said the doughnuts can be used to drive “serious profits” in the lead up to Valentine’s Day and beyond, with profit margins of up to 43%. Mary Byrne, trade marketing manager for retail at Aryzta Food Solutions, said: “Research shows that 42% of in-store bakery shoppers buy due to ‘temptation’, with sweet treats and limited edition products such as the new “I Heart U” doughnut enabling retailers to entice shoppers and increase basket spend”.